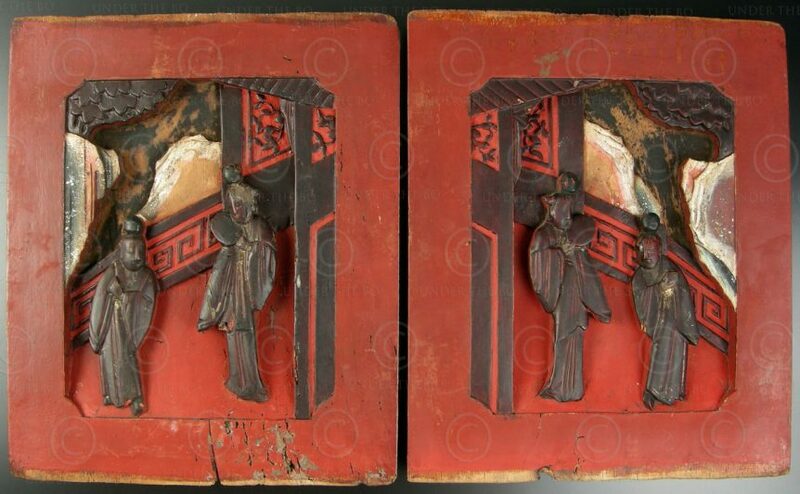 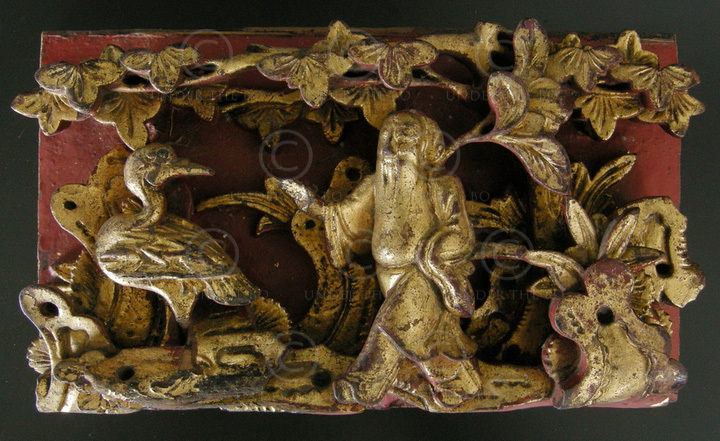 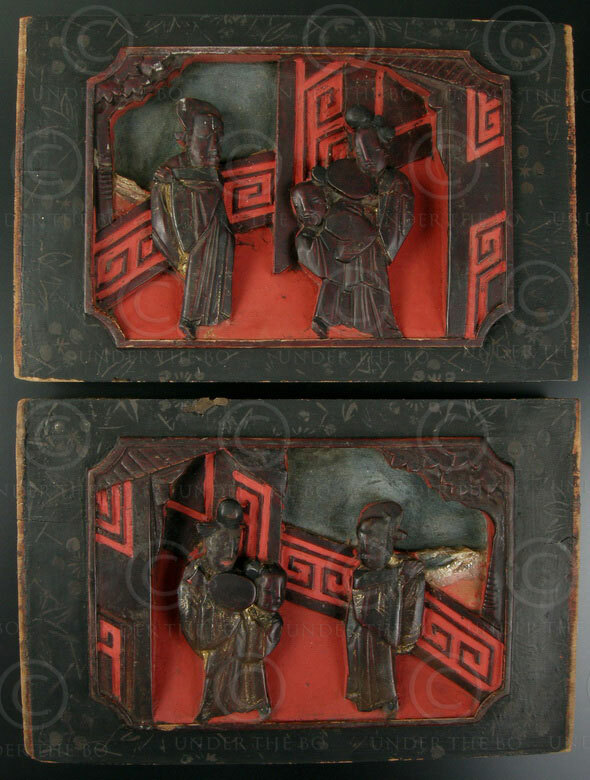 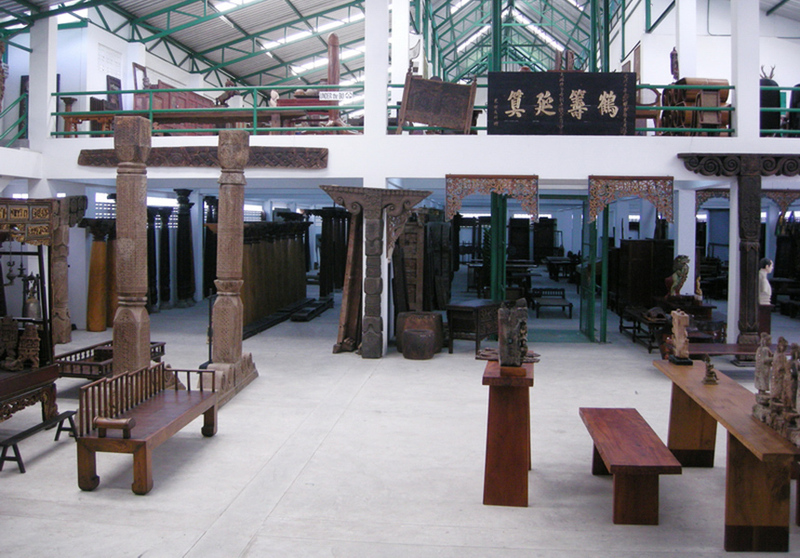 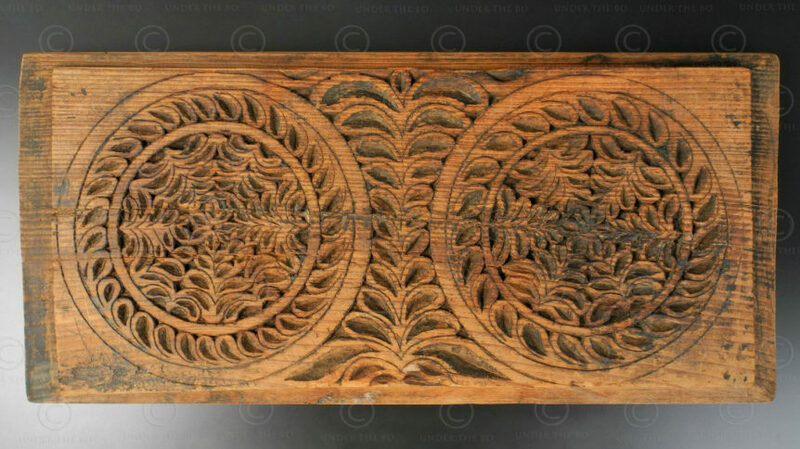 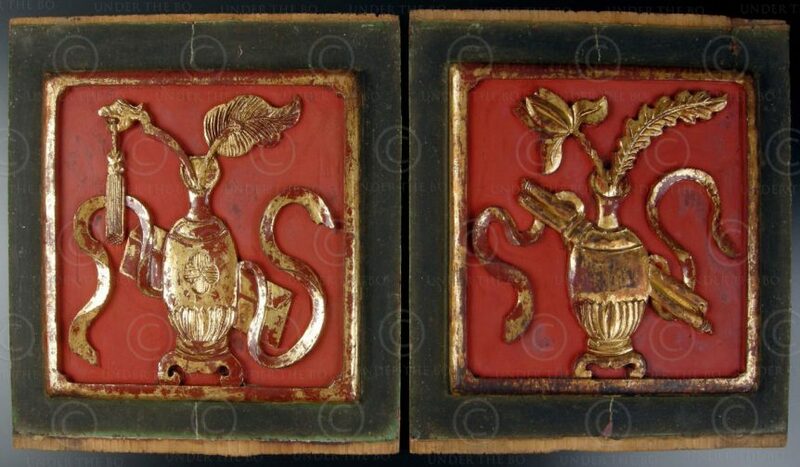 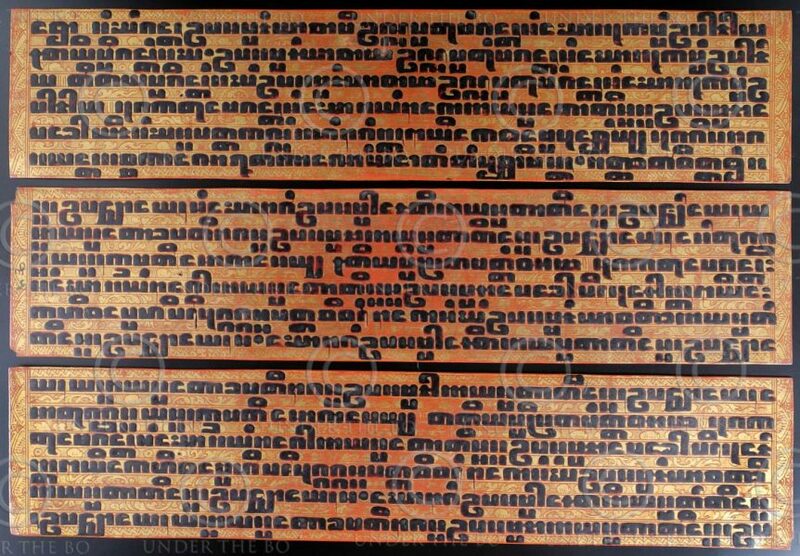 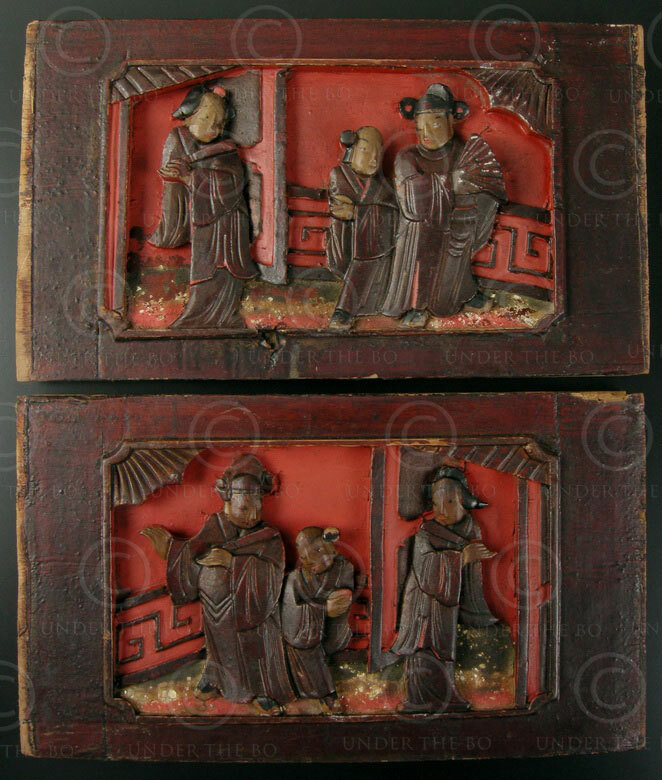 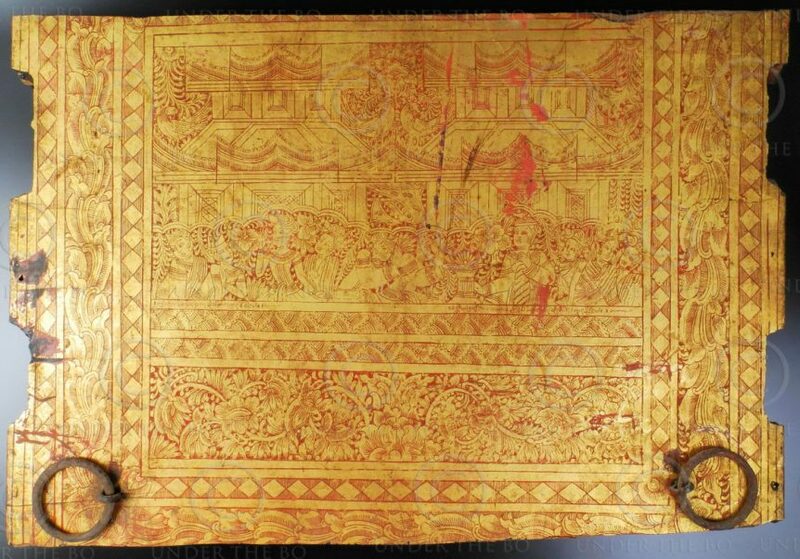 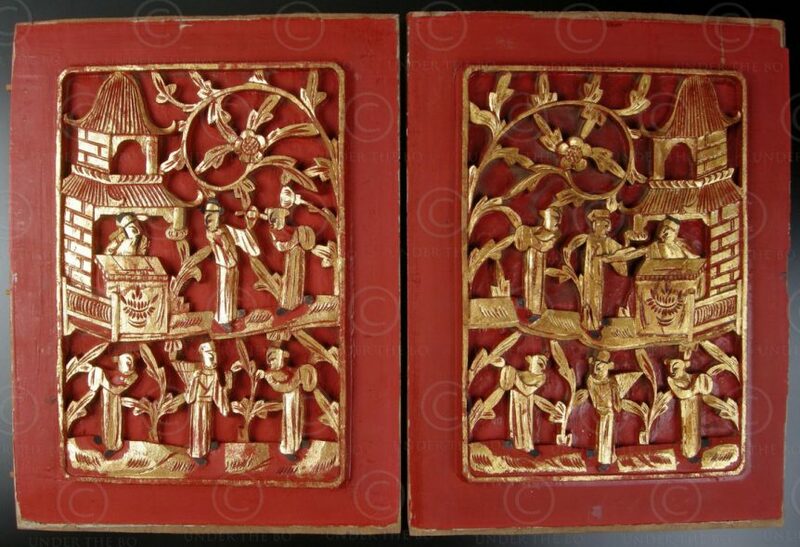 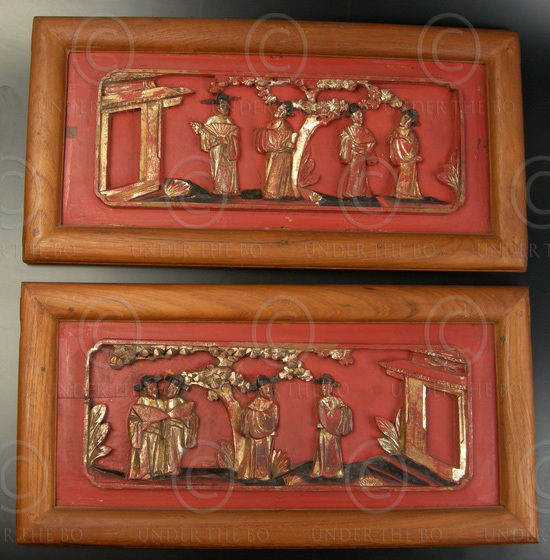 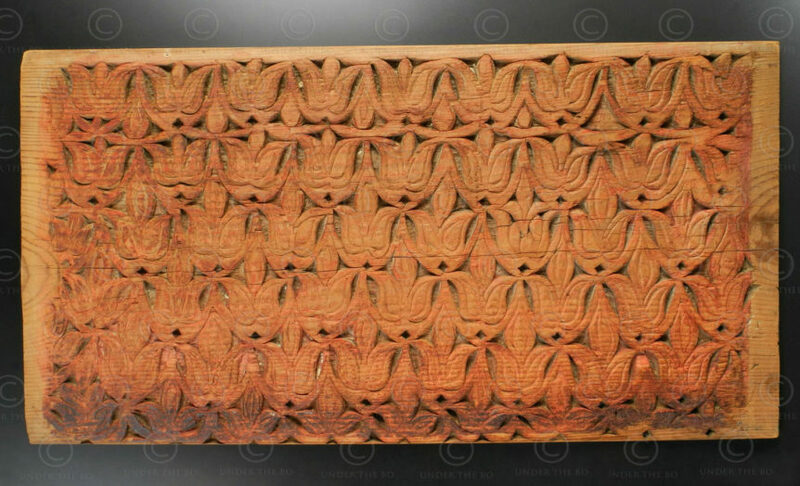 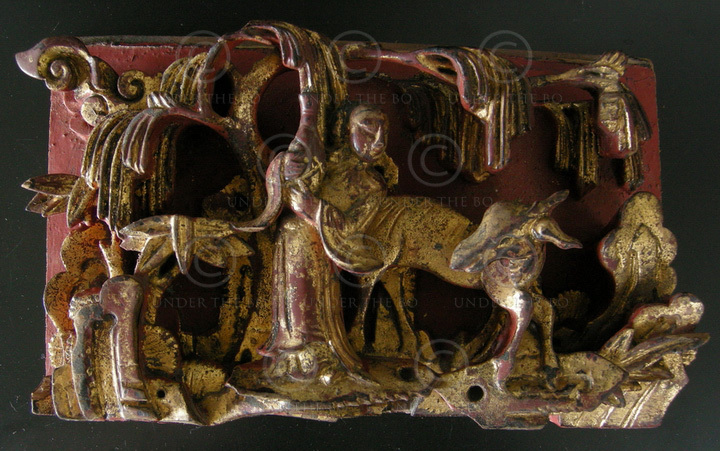 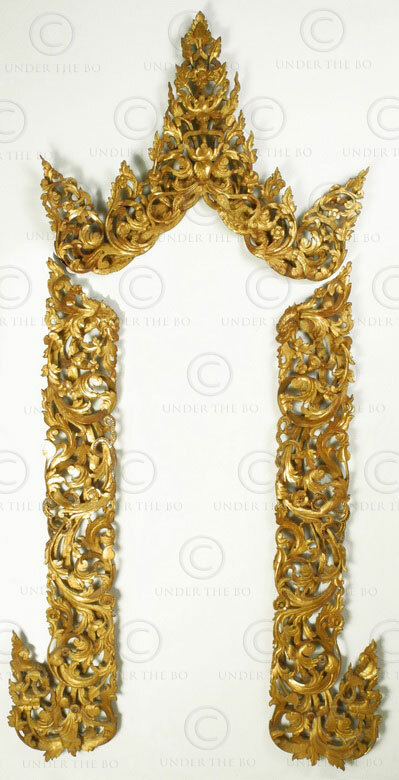 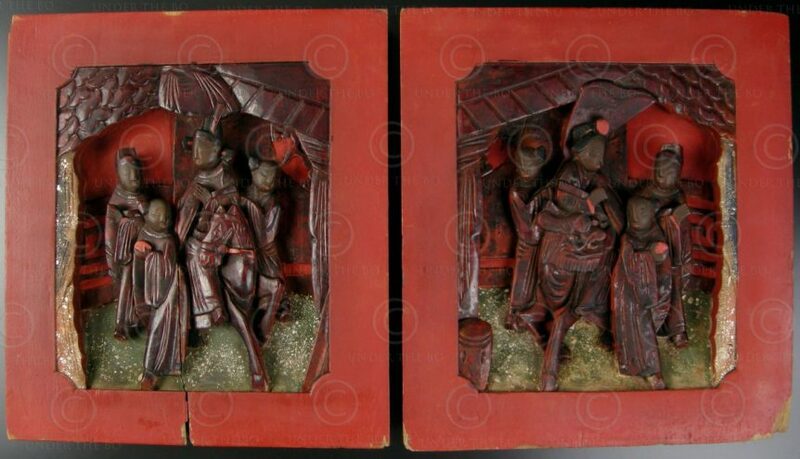 Many of the Chinese panels presented here are made of aromatic camphor wood. 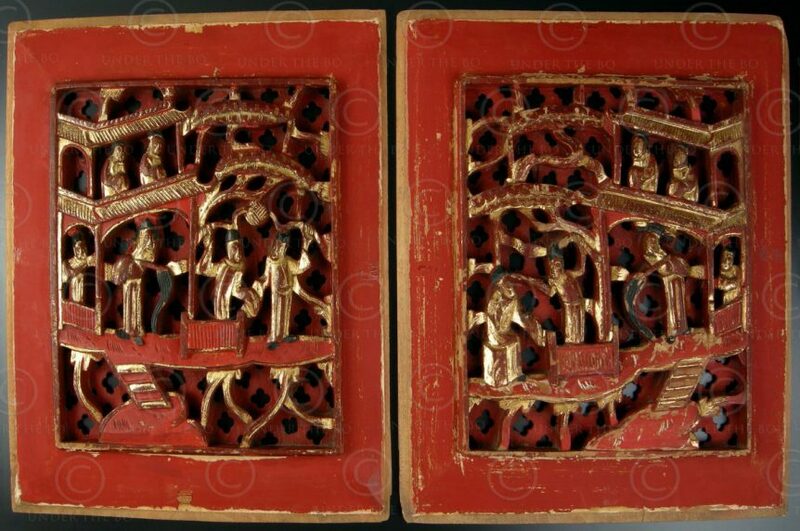 They were set sometimes into architectural wall panels but mostly into pieces of furniture, like beds or chests, this wood being use as insect repellant. 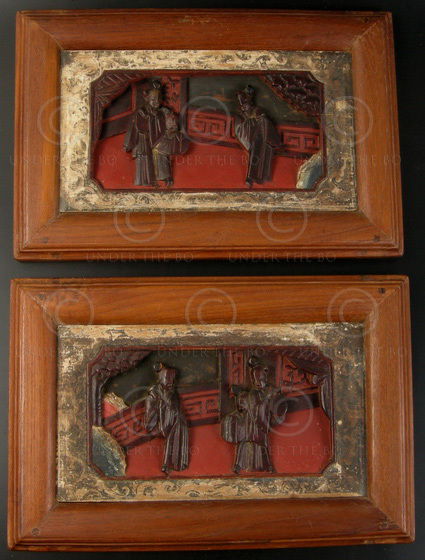 They could be used now as wall hangings, and some have been framed. 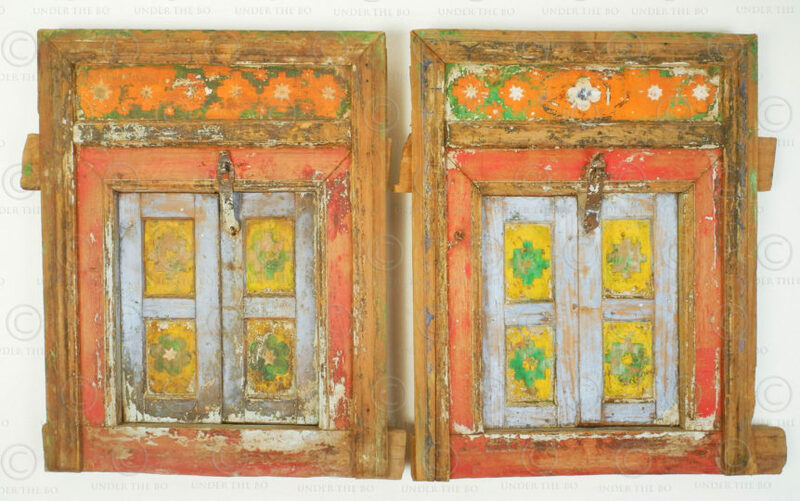 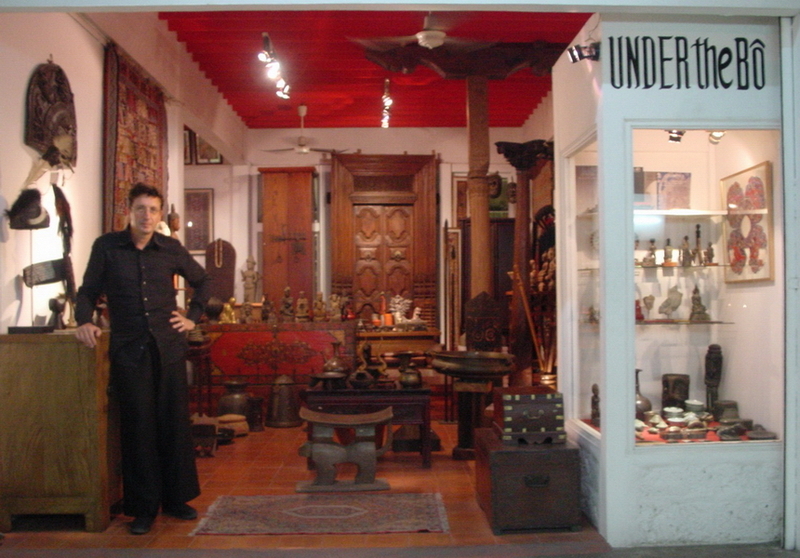 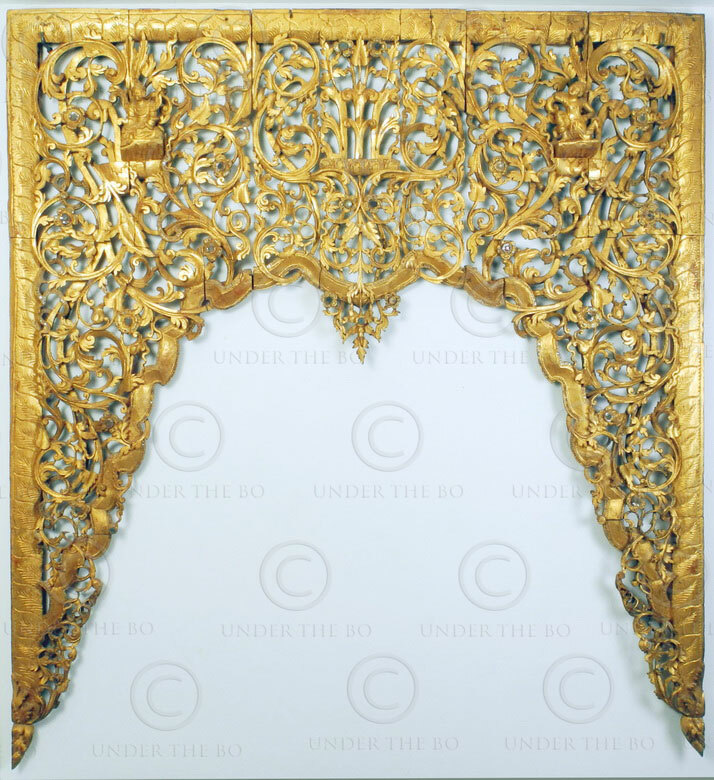 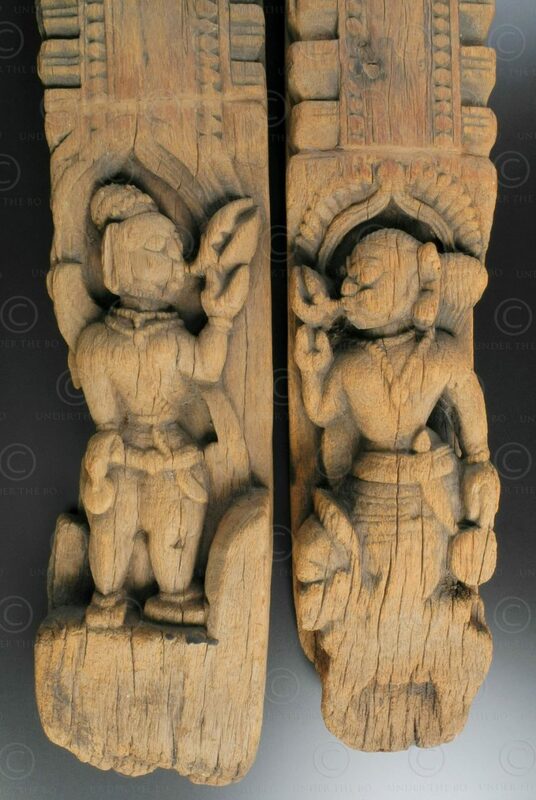 The Indian panels were set into the top of door frames (see samples in our door section). 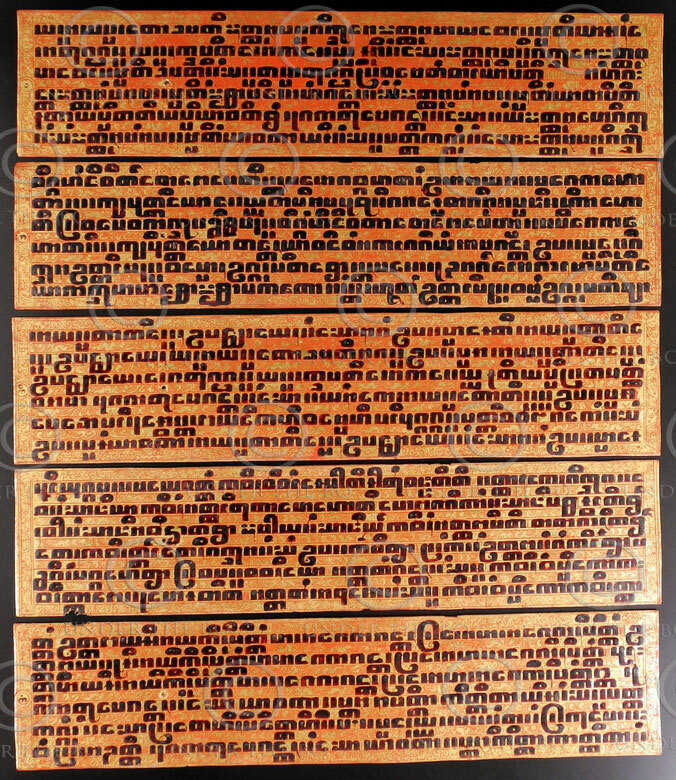 Dimensions can be read in this order: length, height, and then thickness.